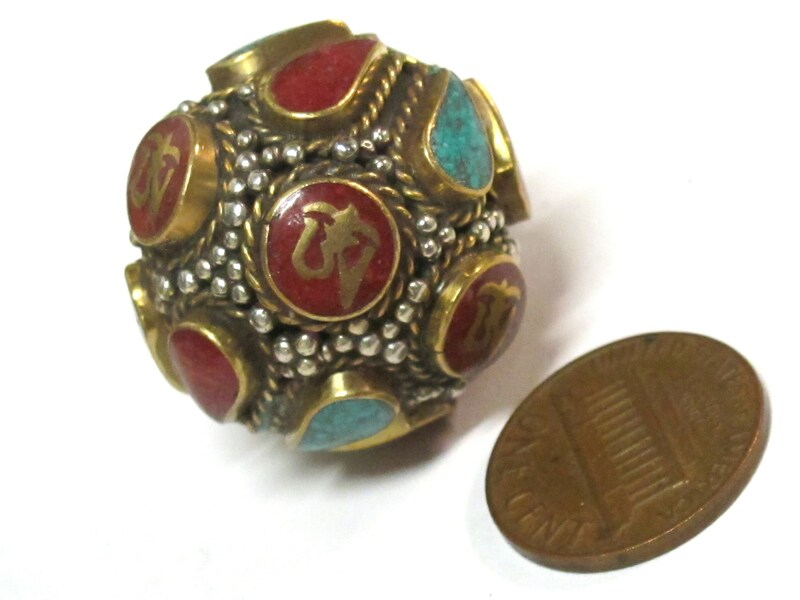 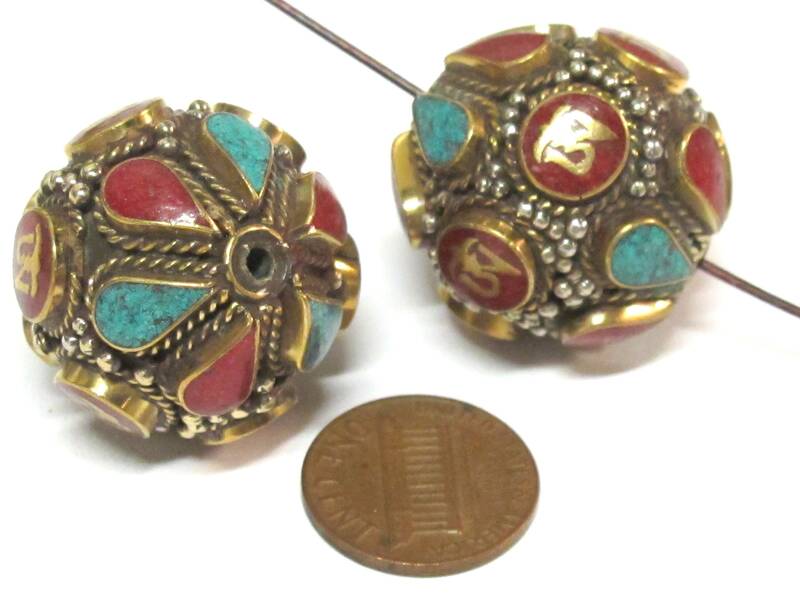 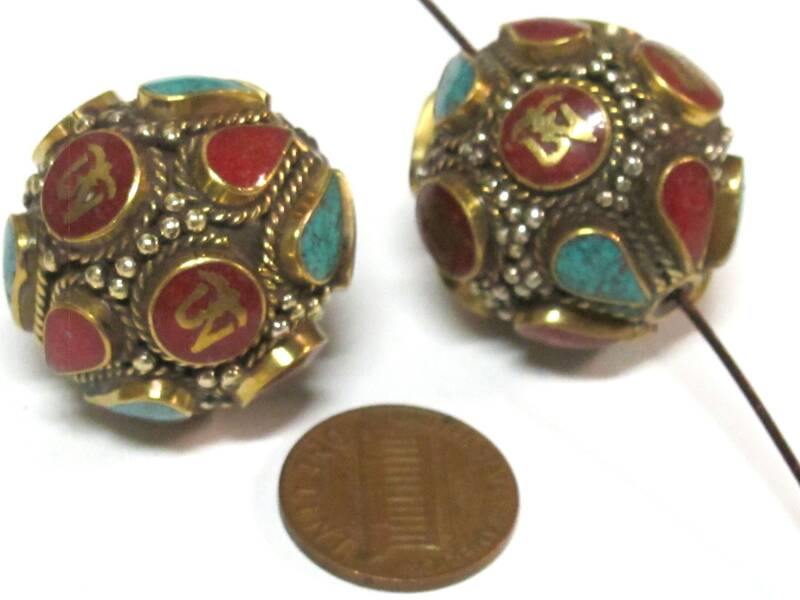 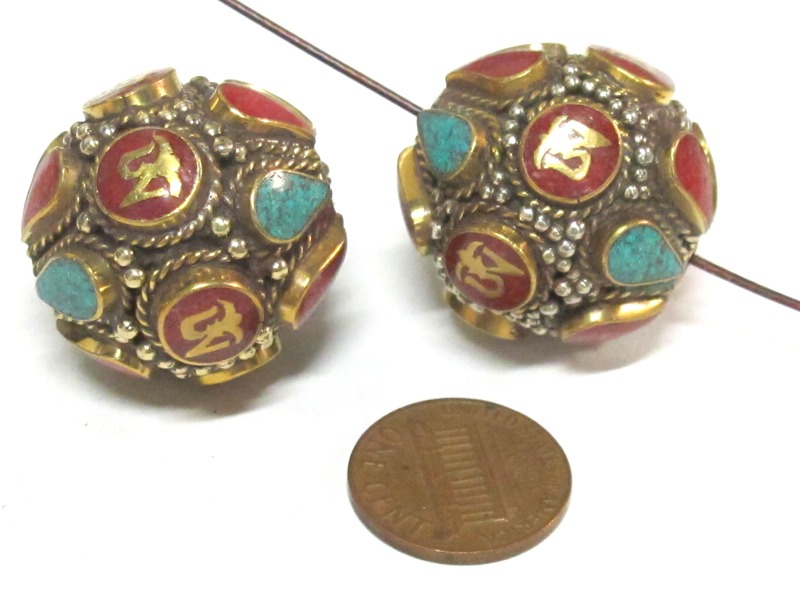 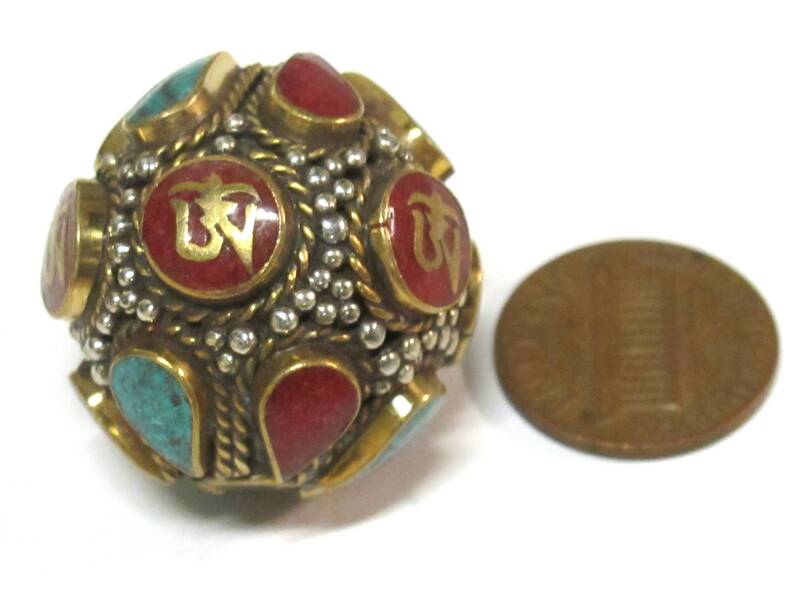 This is a gorgeous Tibetan brass filigree bead with Tibetan Om - inscribed around the bead. 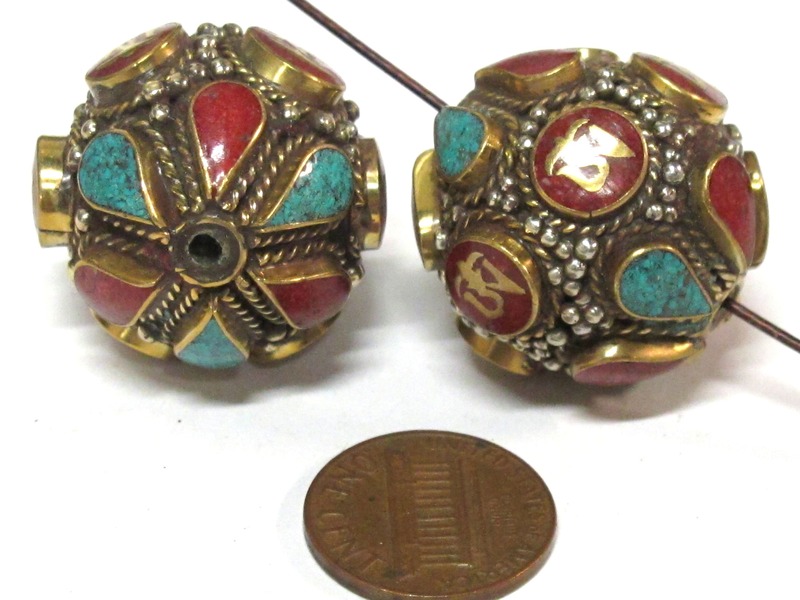 Inlaid with turquoise and coral . 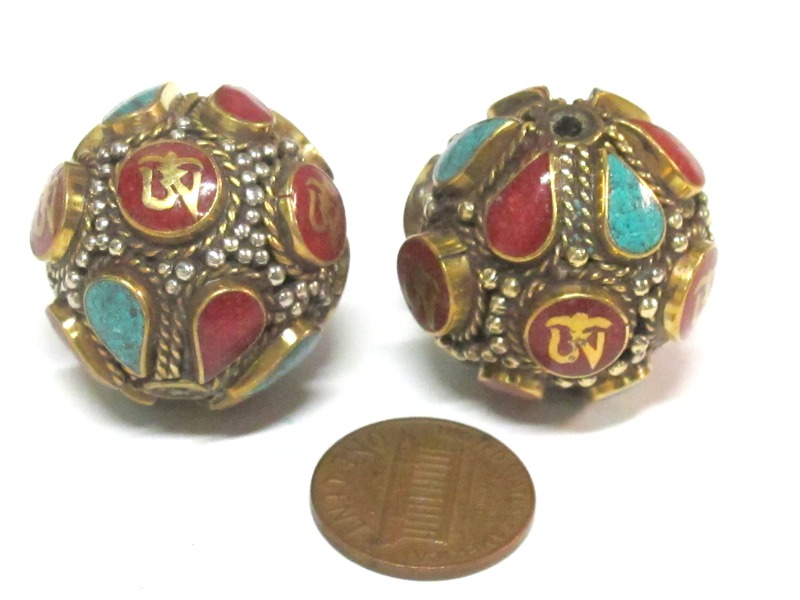 These beads will make nice focal beads /pendants.